Naperville, Illinois is an influential, affluent and well populated suburb of Chicago and spans DuPage and Will Counties as one of the largest cities in the State of Illinois. Its population of nearly 145,000 is only eclipsed by four other Illinoisan cities and the city’s wealth and access to public services have resulted in Naperville being deemed the wealthiest city in the Midwest, the second best place to live in the United States and one of the country’s safest cities. Once the county seat of DuPage, Naperville continues to have cultural, economic and political influence on its neighbors, many of which benefit from the wealth it contributes to both counties in which it is located. When it comes to situations involving neglect and abuse of people in skilled nursing facilities, Rosenfeld Injury Lawyers LLC is committed to holding facilities in the Naperville area fully accountable. Our Naperville nursing home abuse and neglect attorneys represent injured people exclusively and are well versed in filing lawsuits in both DuPage, Wall and Cook counties. Contact our office for a free and confidential review of you case and we will advise you of your rights under Illinois law. As home to a dense population, Naperville’s demographics include numerous elderly individuals and there are high expectations from residents concerning the quality of serves offered by Naperville’s nursing facilities. For-profit companies have taken over many nursing homes in recent years, however, and the quality of care has suffered as a result. Understaffing and inattention to safety concerns can result in nursing home abuse lawsuits. Following are some prominent nursing facilities within Naperville and a synopsis of their ratings. Alden Estates is part of a chain of nursing homes that exist under the Alden name and the Alden Estates of Naperville home is a larger facility that has access to 203 certified beds, which are eligible for Medicare and Medicaid payments. The facility has received an overall rating of four stars out of possible five stars total, according to medicare.gov. While the quality measures are highly rated, there are several areas of improvement that need to be addressed. The greatest of these concerns is understaffing and training. Receiving a rating of only two stars, the staff at Alden Estates is overworked and underqualified to provide a consistent level of care to all of the residents in the facility. This is an influential factor in the mediocre health inspection rating of three stars that was assigned to the home, primarily due to numerous quality of care deficiencies. When staff is able to provide service, the quality of care is excellent, but understaffing creates the possibility for neglect. The Community Nursing and Rehab Center has received excellent reviews the quality of its services, but understaffing has resulted in concerns that are similar to those of other homes throughout the city. Hiring and properly training additional staff could easily help this facility improve its three star rating as the majority of its deficiencies are related to resident rights and the quality of care received. When a facility receives high marks for its quality of care while simultaneously receiving negative quality of care marks during its health inspections, it is an indicator that the staff is simply unable to serve everyone. The staff and health inspection ratings for this facility are three stars and two stars, respectively and this stresses the need to force for-profit organizations to meet higher staff requirements so that they stop prioritizing the bottom line in favor of the patients they are serving. This facility has 153 certified beds which are eligible for Medicare and Medicaid payments. The Meadowbrook Manor of Naperville is the sister facility of a similarly named home in Bolingbrook, Illinois and its health inspection rating is near intolerable. In addition, this home has marked concerns with the number of staff members it maintains. Health inspections have revealed that the Meadowbrook Manor of Naperville has multiple deficiencies over its quality of care, mistreatment of patients, resident rights violations and environmental hazards. Whenever facilities are so poorly staffed that the existing staff is unable to maintain a healthy environment for its residents to live in, measures need to be taken to force the facility to address these concerns. 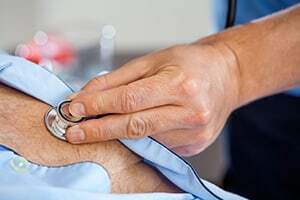 In some cases, the only way to force management of nursing facilities to make improvements is through the use of a Naperville nursing home lawyer, who can advocate on behalf of the patient and seek damages when negligence causes harm. While not perfect, the St. Patrick’s Residence has received above average ratings across the board, passing health inspections and showing that it maintains an adequate staff capable of providing a superior level of care. The facility is owned by a non-profit corporation and it is not surprising that the level of care provided excels when profit is not a concern. St. Patrick’s Residence has 209 certified beds that qualify for Medicare and Medicaid payments and has received four out of five stars in every area of evaluation. Tabor Hills is another non-profit facility that scores extremely well in all areas of evaluation and is the only facility on the list to receive a five star overall rating. Its quality of care, size of staff and health inspection evaluations have all received high marks and most nursing facilities could learn from Tabor Hills. Tabor Hills has 112 certified beds that qualify for Medicare and Medicaid payments. The distinct differences represented between the non-profit and for-profit nursing homes in Naperville are a symptom of a growing problem that has swept nursing homes everywhere. When profits and cost reduction become more important than human beings, it results in neglect and medical negligence. Unfortunately, it often requires intervention from a Naperville nursing home lawyer to gain the attention of negligent nursing facilities. Rosenfeld Injury Lawyers LLC have an established record of success when representing those who have been wronged due to nursing home abuse across Illinois and we would like the opportunity to review your legal options with you if your loved one has been a victim of neglect. Contact us to arrange a free consultation with a Naperville nursing home attorney to learn more about the laws that apply to your case and the resources we have at our disposal to help establish and win your case. If we cannot help you collect compensation, our services come at no cost. Naperville is named after Joseph Naper, who settled the area upon arriving at the west bank of the DuPage River. He brought along quite a few relatives and friends, all of whom contributed to the establishment of Naper’s Settlement. Several of the families that traveled with Naper would ultimately head north and help settle the great city of Chicago. Naper’s Settlement was established in July of 1831 and reached a population of one hundred in less than a year. The Black Hawk War created an aura of fear and panic among the settlers located in Naper Settlement and nearby cities and in order to both provide adequate protection and assuage their fears, most of the settlers were moved to Fort Dearborn until the creation of Fort Payne at Naper’s Settlement, which allowed for their return. Fortunately for the settlers in Naper Settlement and nearby establishments, the attack that the population feared never materialized. Only three years following its founding, Naper Settlement became home to the Pre-Emption House, which served as a stop along a stage coach route that ran from Chicago to Galena. The Pre-Emption House and Fort of this time period have been reconstructed by the Naperville Heritage Society in an effort to preserve buildings with significant historical value to the city. Naperville was originally located within Cook County; however it parted ways with the county in favor of becoming the county seat of DuPage. Naper’s Settlement held its position as county seat from 1839 until 1868 and it was within this period that it officially incorporated as the Village of Naperville. The village sought and gained status as a city in 1890. While Naperville is now defined by its wealth and affluence in modern times, the city was once very quiet and undeveloped. Farmers comprised the majority of Naperville’s population but its access to the railroad would result in a population explosion in the 1960s. The creation of what is now the Ronald Reagan Memorial Highway resulted in an even larger boost to Naperville’s population in the 1980s and 1990s and as the population began to expand, Naperville became an ideal location for some of the country’s largest companies. Naperville is one of the most affluent and wealthy cities in the country. Its wealth is directly linked to its location within the Illinois Technology and Research Corridor. Many Fortune 1000 companies have chosen to locate their headquarters and research and development departments within this corridor and Naperville maintains a predominant position as a business friendly city. Playing host to numerous technology companies has attracted white collar workers and the median income for the average family in Naperville is now $130,000 per year. Some of the most influential companies that have chosen to move into Naperville include BP of America, Nicor, Nalco and Alcatel-Lucent. Edward Hospital is a prominent hospital which also serves several neighboring cities. In addition, Kraft Foods opened a plant in Naperville which brought well-paying blue collar jobs to over 200 employees. ConAgra has also located its grocery division branch office within Naperville’s borders. Naperville is home to numerous highly regarded educational institutions and its Naperville Public Library is the highest rated library in the nation for cities with populations between 100,000 and 250,000. The library has three branches within the city limits and serves almost 1.5 million visitors every year. The Naperville Independent Film Festivals attracts up and coming filmmakers each year and the Naperville Historic District includes over 600 buildings which have been preserved or reconstructed to maintain the historical heritage of the city. Naperville is also home to the Millennium Carillon which operates with over 72 bells and can be played by hand or computer. There are only four carillons in the world that can achieve the range and pitch of the Millennium Carillon.